I saw this striped scarf at zara and had to buy it. It has so many different colours and I liked all of it. 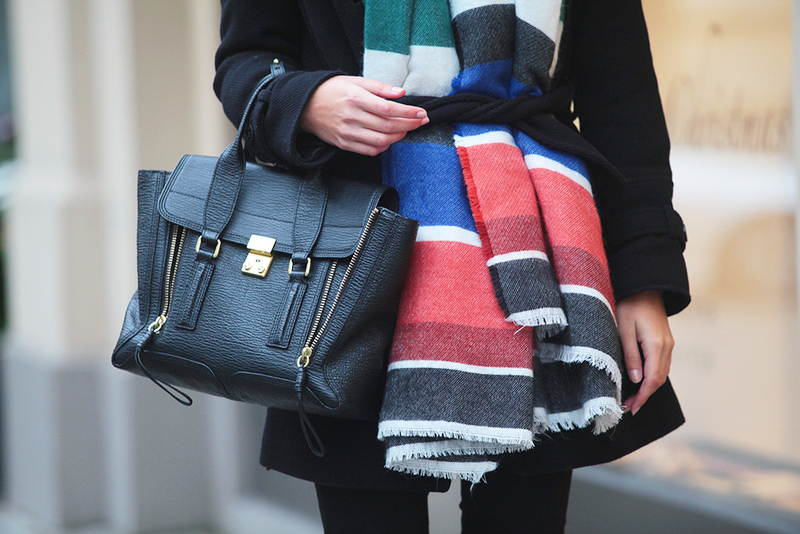 As you may have noticed I’m obsessed with oversized scarfs and also belted scarfs paired with wool coats. It’s the perfect combination for cold winters in Germany. Next week will start the pre-christmas fashion events (Versace, Faby) and I hope to write about them in the next posts. What a fantastic scarf! Love it! That scarf is gorgeous! Love big scarves this time of year! I love the scarf and both ways that you styled it! I love all the different way you wore your scarf! Great inspo for us, also very gorgeous! 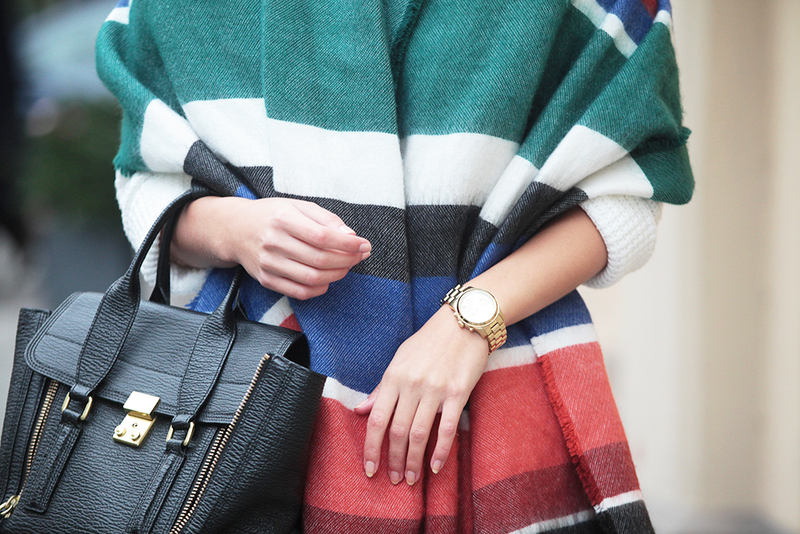 Beautiful Scarf and that bag…<3! Absolutely love your sense of style! Pásate por nuestro blog y,si te gusta,síguenos! !